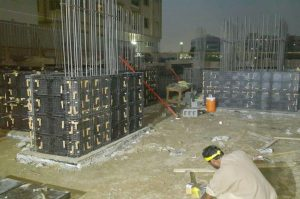 The new project in U.A.E. 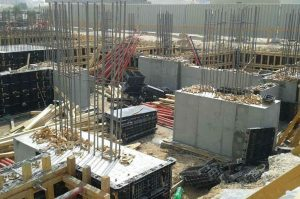 of ground and 4 floor building started. 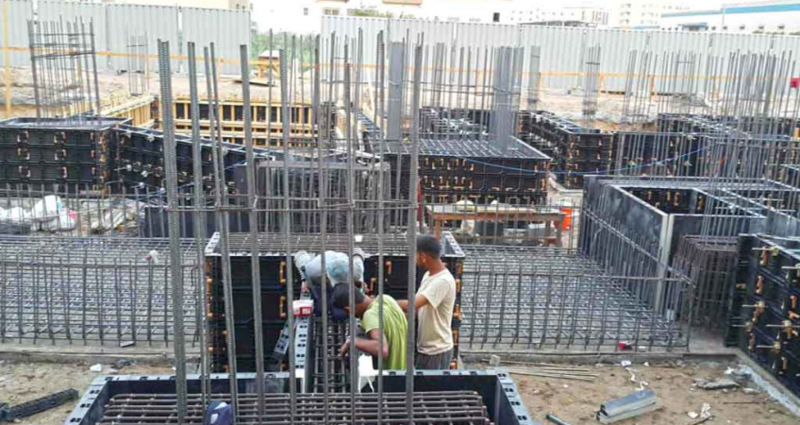 Now foundation almost finished by BOFU plastic formwork system. 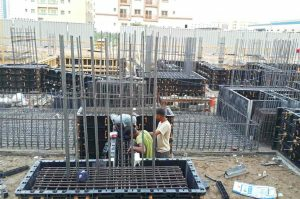 “It was done perfectly” praised by our client – Mr. Mohammed. 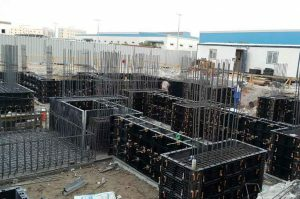 Using advanced BOFU plastic formwork system, the foundation can be done quickly, the workers familar with the new formwork system more and more, makes the working time much shorter than traditional formwork. Some places still need wood to be compensation, such as the picture, one part has slop connected to other horizon parts, where the workers use wood between them, and it is easy to do with the excellent work of the engineer of our clients.